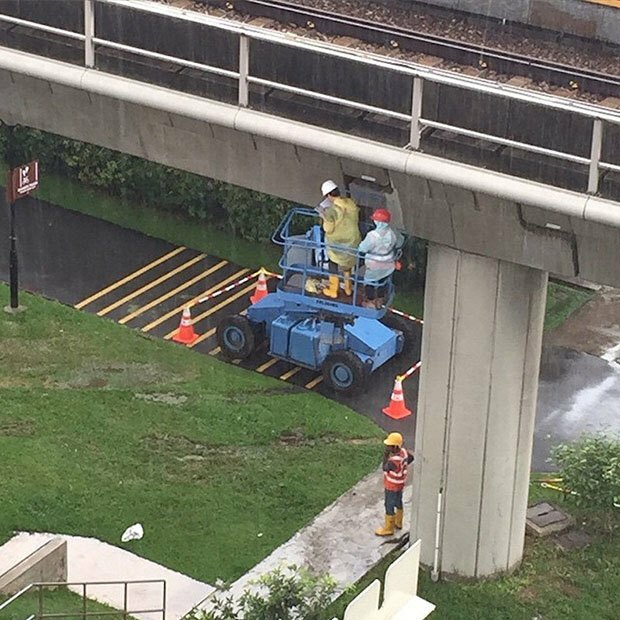 Redditors have been theorizing on how this real life optical illusion of a construction site is possible without Photoshop. The image depicts two construction workers on a lift that overlaps a concrete overpass, while the perspective of the foreground and background doesn't quite seem right. Much speculation has been thrown on how the image, resembling an M.C. Escher drawing, could have been created. 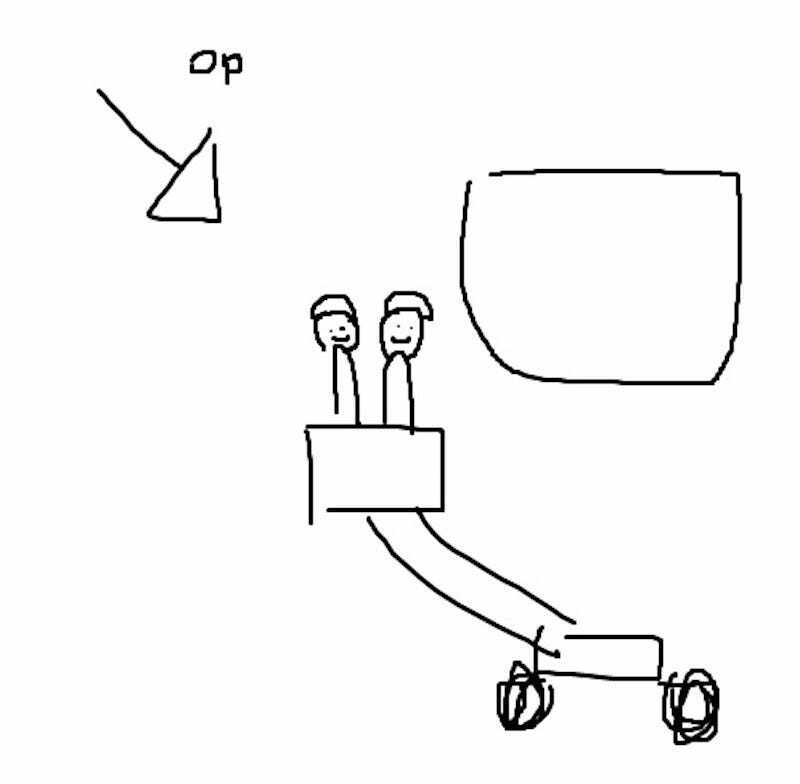 Several diagrams have been drawn, including this one created by Redditor MrDLTE3, pointing out that the lift is most likely going outward at an angle which allows for the heads to overlap the concrete. Now we can add this to our list of ways to trip on the internet, naturally.